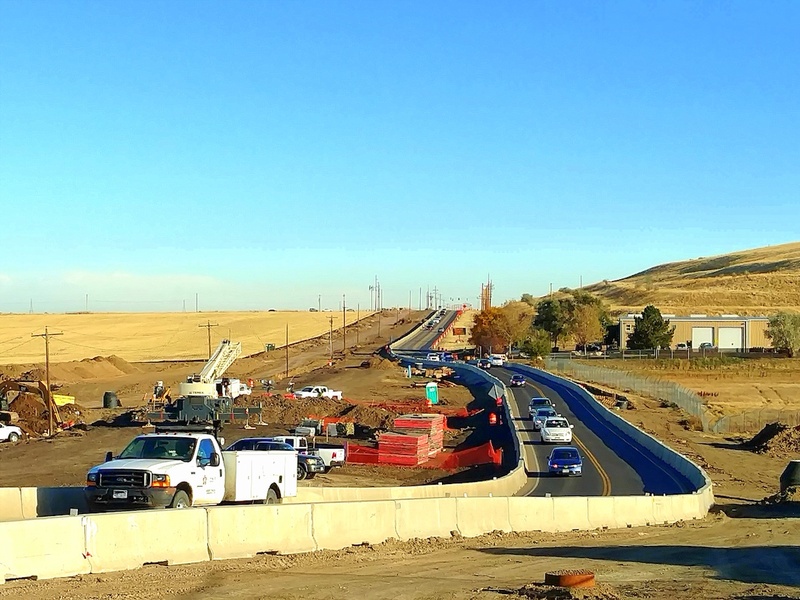 Traffic never stopped flowing during the Tower Road widening project. Prolonged residential growth in the northeast portion of the Denver Metro area, along with expansion and continued development at Denver International Airport, has led to massive increased traffic and congestion along Tower Road, bringing movement through the corridor to a grinding halt during peak travel hours. When Tower Road was originally built in the 1950s, it was a two-lane road with no shoulders passing through undeveloped agricultural property. Today, that same unimproved stretch of road now serves Commerce City as a major arterial roadway providing access to all of the residential development that has occurred in the northern half of the city over the last 15 years, an expansive Waste Management landfill, the Denver International Airport and the soon-to-be opened Gateway Hotel and Convention Center (one of the largest conference centers in the U.S.). The city recognized that a long-term solution was needed to address all the issues to provide a route for continued residential and economic growth, while providing an acceptable level of service for travelers. The chosen wearing course for this project was stone matrix asphalt, which designers felt would offer strength and resilience given the road’s dense traffic volume. A combination of capital improvement projects and a one-cent sales-and-use tax increase is catapulting Commerce City through a number of vital expansion and renovation efforts. Commerce City voters approved the one-cent sales-and-use tax increase in November 2013, leading to a $166 million capital improvement program that will build five projects in five years, while also providing a dedicated revenue stream for parks, recreation and road projects, including operation and maintenance of those facilities, for years to come. This was a transformational opportunity not just for the community, but for the governmental organization as well. “In the years ahead, the city will be defined not only by our ability to deliver on our promises, but provide the types of programs and services our growing community expects and that define great communities,” said Maria D’Andrea, director of public works for Commerce City. Building facilities the right way today to lower long-term costs for future maintenance. 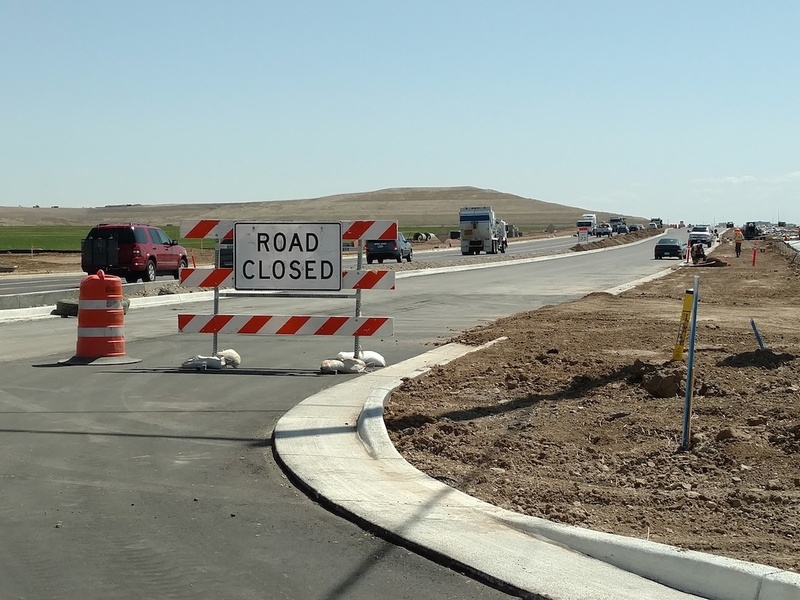 The five projects were chosen collaboratively by residents and city officials, one of which was a four-lane road widening project on Tower Road from 80th to 104th avenues at a project budget of $51 million, considered to be the most complicated project of those selected. A lack of detours forced designers and crews to use a nearby toll road for temporary re-routing during major structure work. The Tower Road widening project, a design-bid-build arrangement, began in May 2016 and included expanding Tower Road from two to four lanes between 80th and 104th avenues (approximately 3 miles) to provide a higher level of service, improved safety, increased vehicle capacity, eliminate flooding and improve water quality, and accommodate pedestrians, bicyclists and vehicles. 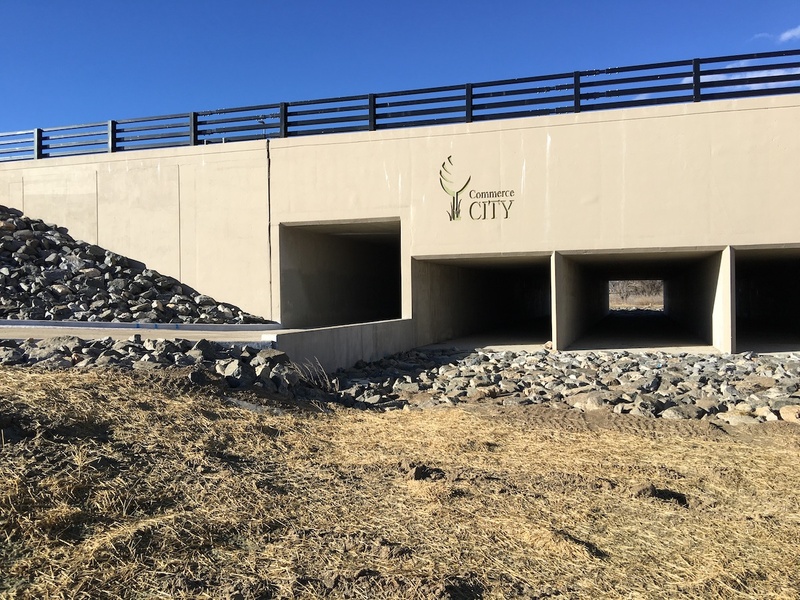 Culvert crossing with provisions for regional pedestrian trail underpass. In November 2015, during the preliminary design stage, the project team partnered with industry to host a constructability review. The review was hosted by the Colorado Asphalt Pavement Association (CAPA) and attended by paving contractors and heavy civil contractors from around the region. The purpose of the review was to have an open dialogue with the owners/designers/contractors prior to final design to identify and address such topics as maximizing project scope and budget, pavement life performance and material selection, scheduling, traffic control, utilities and geotechnical issues, and procurement. One of the valuable takeaways from the review was the recommendation for the city to advertise the project using an alternative bid process, thus capitalizing on the contractor’s expertise to maximize project scope and stay within the city’s allocated budget, leading to a design-bid-build decision. The city received six bids for the project (several for each pavement alternative). Flatiron Constructors Inc. proposed the lowest bid for the asphalt alternative at $1.5 million less than the base bid for the concrete alternative, and they were awarded the project. An additional cost-saving measure was brought to the table by Flatiron when they value-engineered a proposal to use crushed recycled concrete to mechanically stabilize the subgrade instead of the original design to use lime to chemically stabilize the supporting subgrade below the pavement section to a depth of 12 in. 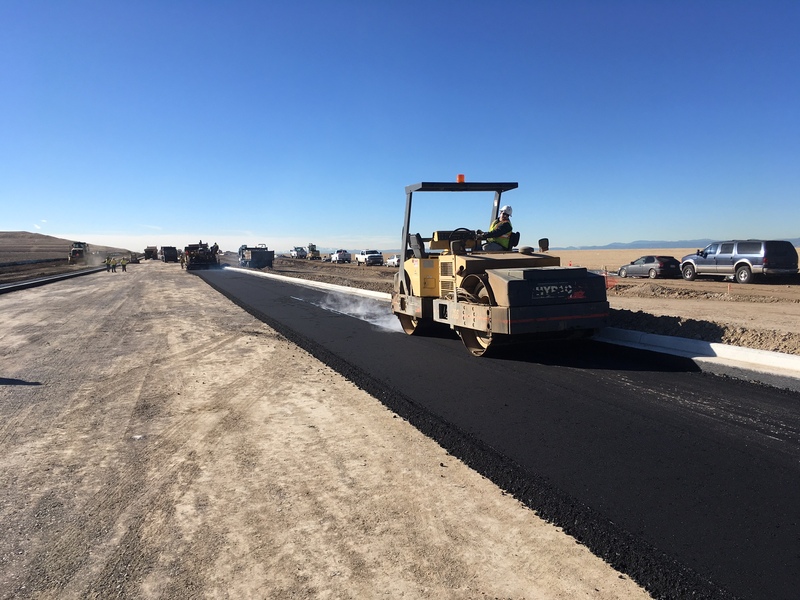 Flatiron was concurrently working on a concrete pavement runway rehabilitation project at the Denver International Airport and had a readily available source of crushed concrete base material less than 3 miles away. The value-engineered component saved the project just over $400,000, which was split between the city and Flatiron. The aesthetic detailing of the project, as seen in this series of culverts, was meant to add to the overall atmosphere of the corridor. Construction began on May 10, 2016, with a groundbreaking event and a targeted completion date of Dec. 5, 2017. Flatiron was responsible for the structures, utilities and earthwork on-site, but engaged Aggregate Industries WCR to perform the asphalt paving. The original 10.5-in. section of asphalt pavement consisted of Grading S(100) PG 64-22. Discussion from industry during the constructability review recommended the use of stone matrix asphalt (SMA) for the wearing course due to the heavy traffic on the road. Commerce City had not used SMA before and looked to its neighbor, the city of Aurora, for guidance. The city of Aurora has been using SMA as part of its arterial road mill and overlay program since 2001 and has seen a 60% increase in service life of arterial roads when SMA is used. Encouraged by Aurora’s success with SMA and with technical support from CAPA, Commerce City elected to place its first application of SMA on the Tower Road project. The revised pavement section consisted of 7.5 in. of Grading S(100) PG 64-22 (approximately 21,100 tons) and 3 in. SMA (1⁄2 in.) PG 76-28 (approximately 18,100 tons). 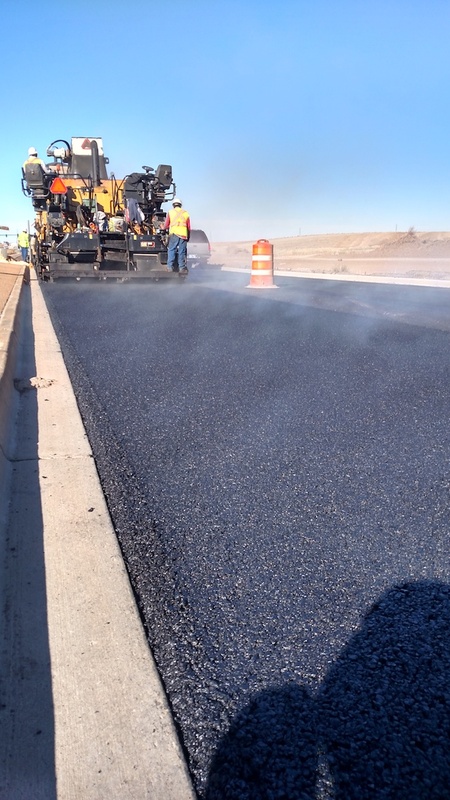 The SMA paving was completed in November 2017 due to unseasonably warm weather for the Rocky Mountain Region. “The weather cooperated, and we worked together with Flatiron to complete the project on time and within budget. Commerce City will be pleased with their first use of SMA,” said Brenda Shuler of Aggregate Industries WCR. All members of the project team agreed that the largest challenge on the project was traffic management. Due to Tower Road’s remote location, there were no alternative routes or viable detours available to drivers other than a nearby toll road. During construction, a short-term temporary detour route was in place while major structure work was completed and provided a different set of challenges. The existing temporary detour road was already in poor condition before heavy detour traffic was rerouted onto it. Very quickly the city began to see the effects of the detour, and the condition of the road dropped dramatically. “Fortunately, Flatiron stepped in and developed a maintenance plan for the detour to maintain traffic, which was a big help to the city. A community public outreach program also was a key to success, including roadside variable message boards, tweets, targeted emails to property owners, and a project website with current updates, detours and schedule updates,” D’Andrea said. Traffic management was always front-of-mind for workers, given Tower Road’s relatively remote location, as well as a strict project schedule. A shared interest in delivering a successful project allowed the contractors, designers and the city to maximize quality, reduce risks, control costs and minimize impacts . . . a great measure of project success. A boon to paving crews was persistently cooperative weather, which made paving operations smooth and dependable. Skinner is the director of Pavement Engineering for the Colorado Asphalt Pavement Association, Englewood, Colo. D’Andrea is the public works director for the city of Commerce City, Colo. Shuler is the general manager, Asphalt & Contracting, for Aggregate Industries WCR Inc., Golden, Colo.